So what thoughts have been running through your mind? Let me guess… something like these? Should I get her flowers &/or a gift? What fresh hell is she going to put me through this year? Stories of how miserable she was when pregnant with me, what a terrible child I was or how much I’ve disappointed her? Do I really have to do anything at all?! I don’t wanna! Take a deep breath, Dear Reader… now exhale. Try to relax. You can get through this! Before you opt to do anything, pray for wisdom, strength, & anything else you feel you need. Once that is done, start thinking logically & calmly about your situation, taking it one step at a time. Do you feel you should get your mother a card? Yes? OK, then go shopping for a card. Look for something very simple that basically says, “I hope you have a nice Mother’s Day”. Those cards exist! Or, if you can’t find one, then find a pretty card that’s blank inside & write your own simple message. Do you feel you should get your mother a gift? If yes, then think about something small you can get her. There’s no need to go crazy or go into debt getting her something for Mother’s Day, especially when she was a less than stellar mother. Has she mentioned something she wants recently? A new purse? A new casserole dish? A new clock? Anything? If so & you can afford it, get it. Not sure what to get her? Then how about a gift card from a store she likes? Cash also works. Don’t beat yourself up trying to figure out the perfect gift. It’s not worth the stress or potential debt. Do you feel you should spend time with your mother on Mother’s Day? If yes, why? Is it because you want to honor her or because you dread her massive guilt trip &/or smear campaign if you don’t? Be brutally honest with yourself on this one. If it’s simply to honor her, then absolutely do it. If it’s because you dread the guilt & smear, then do NOT do it! Giving in to avoid her guilt &/or smear is giving her control. You know how narcissists are- the more you give into them, the more they expect. That whole give an inch, take a mile thing. Another option is a compromise if you aren’t ready not to spend the day with her. Offer to take her to lunch or dinner on another day. If you’re a mom, no doubt you want to spend the day with your kid(s), so do it, then take Mom out another day. She may be mad but tough- it’s perfectly reasonable to put your kids ahead of your mom! If you don’t have kids, make other plans for that day. Lunch with a friend. Pick up an extra shift at work. Something! Anything! You can make it sound like your plans are unchangeable too. Work really needs you in that day (true- they need you more than she needs to abuse you!). Your friend is having a tough time lately or this was the only time your friend has available (both of which are entirely possible scenarios). If your mother starts with her guilt trip, tell her you have to go immediately & will talk to her later. If you’re no contact, that first Mother’s Day can be rough. Don’t give in to guilt & send her a card or gift! If you do, your narcissistic mother will see that as you having weak boundaries or you feel guilty for being so “mean” to her. She also may take it as the end of no contact & before you know it, she’s in your life again. Don’t let that happen! Maintain no contact for the sake of your sanity! May Your Christmas Be Peaceful & Narcissist-Free! 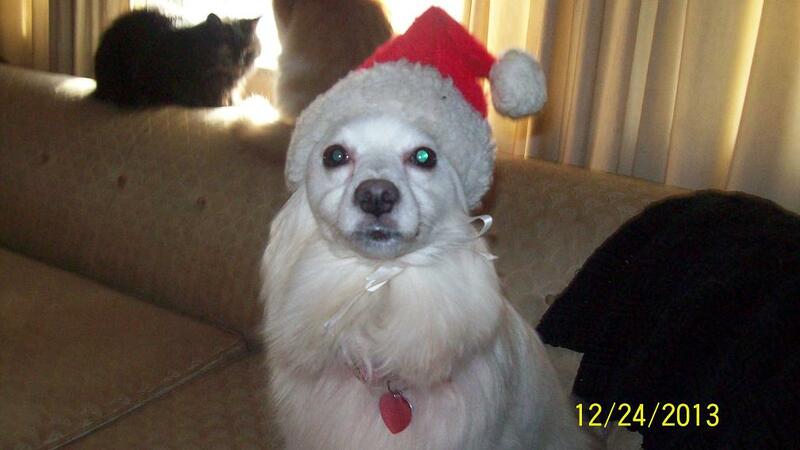 I wanted to take a moment to wish all of you a very merry Christmas tomorrow. May your day be peaceful & full of joy! I know for many of us with narcissistic parents & in-laws, the Christmas season can be very stressful & full of negativity. If that describes your Christmas, you’re not alone. I understand how you feel, which is why I try to make Christmas day a day I can spend relaxing & goofing off, minus the narcissists. I hope you too can enjoy the day doing whatever you like! If you must deal with the narcissists in your life, remember, it is perfectly OK to set time limits on how long you spend with them! You can limit your time with them, then go home & enjoy the rest of your holiday in peace. I would like to ask for a bit of prayer today, too… I spoke with the visiting nurse today who has been helping out with my father since he returned home from the hospital. She said she is going to try to talk to my parents about getting some assistance. Please pray that they will listen to this lady! My mother hasn’t listened to me on this issue. If she listens to the nurse instead of me on this issue, that is fine- I don’t care who talks her into it so long as they get the help they need & I can’t give! And, I am very anxious today. I have to take my father to the doctor about 30 minutes away today. It’s raining, there is a lot of traffic out, it’s Christmas eve so drivers will be in a hurry & I’m driving my father’s car instead of mine. All of this has made my anxiety levels go completely haywire. Please pray for me to be able to relax! Thank you! The holiday season has begun. This is a lovely time of year & my favorite season – the leaves are changing, the temperature is dropping, hoodies & hot chocolate or tea come out. I absolutely adore fall! And then there is the stress dealing with demanding relatives. I used to love the holiday season as a kid. My parents & I went to my grandparents’ home in northern Virginia on the Sunday between Christmas & New Year’s for a big family get together. It was always fun. But then I grew up & got married, & was no longer able to visit my grandparents’ home for the holidays. My ex husband wanted to spend every Thanksgiving & Christmas with his family that lived about 2 hours away, & it had to be on the exact day- never a visit before or after the holiday. It also didn’t matter if I was sick or didn’t want to go. He told me he was going to be with his family. I could go with him or not- he didn’t care. Our anniversary was Christmas eve, & to me, it always felt like he endured our anniversary while watching the clock, anxious to get to his family’s gathering the next day. Not a lot of fun. Then after our divorce & I later married my current husband, his mother demanded we attend their family get togethers, sometimes at his parents’ home, other times at one of his sister’s homes about 3 hours away. Often, I also had my mother demanding we spend time with my parents on at least one holiday. Needless to say, after years of this, I no longer love the holidays. I no longer celebrate them. In fact, I dreaded them for years. I’ve been told that is wrong & I need to let go of the bitterness & celebrate the holidays again, but I no longer feel the desire. I’m fine not celebrating, thank you very much. Sadly, I know I’m not alone. Many of my friends feel the same as I do & for very similar reasons, so I am sure there are many of you reading this that also feel the same way. To those of you who dread the holidays, you’re in good company! Don’t let others dictate how you feel- you’re allowed to celebrate them or not celebrate them. If you opt not to celebrate them, why not do as I do? I take the day as a quiet day to myself. I often get Chinese take out & relax with good movies all day, or maybe work on my latest book. It has turned into something to look forward to instead of a day to dread. If you feel obligated to spend family time with your relatives or in-laws, just remember- you are an adult, & you can determine when you spend time with them & how much time you spend with them. I know many in-laws are like mine- expecting their daughters in-law to act as if she doesn’t have a family anymore, & spend the holidays with her in-laws, ignoring her parents. If you feel you must do this yet you resent it, then set a time limit! Tell your husband you don’t want to spend all day with them, maybe two hours instead, & that you want to spend time at home with him too. Or, suggest you visit his family the day or weekend before or after a holiday, & spend the actual holiday home with him. Unfortunately I know some men are more concerned about spending a holiday with their family of origin than their wife. As I said though, I’ve turned holidays into a day to look forward to & you can do the same thing. It is either do that or be angry, so why not try to turn this negative into something more positive? Do something you enjoy that your husband doesn’t. Take a long bubble bath. Give yourself a manicure. Participate in your favorite hobby. Read a good book. It just makes more sense to me to try to be positive about this than be angry about something that won’t change until & unless your husband wants it to change. A funny story- about 10 years ago, I was in counseling. My counselor was great- he was very nice, understanding & supportive. One time I saw him just after Thanksgiving. He asked what my husband & I did. I told him- hubby went to his parents’ house, & I stayed home knitting & watching movies. He was flustered! He understood why I didn’t speak to my in-laws, so he was shocked my husband went without me. I told him it’s happened many, many times. “But aren’t you angry?” I said no. “But! But! You have a right to be angry!” I told him I know that. I also know it doesn’t do any good since I can’t change my husband’s behavior. I prefer to change my perspective & just enjoy my quiet day at home. Poor man.. he didn’t know what to say! LOL He did understand my point, & agreed with me. Anyway, just remember- don’t give in to holiday pressure from demanding & often dysfunctional relatives! Do what you feel comfortable doing! You have every right to celebrate or not celebrate the holidays however works for you! In case you’re wondering what I’m doing on Thanksgiving? I’m going to spend my day relaxing, probably with netflix on the TV, furkids by my side & maybe getting in some writing. My husband will most likely spend the day with his parents. My mother invited me twice to go to dinner with my parents, but I refused. She isn’t happy about it, but she will survive. She will survive & I will enjoy a peaceful, relaxing day! 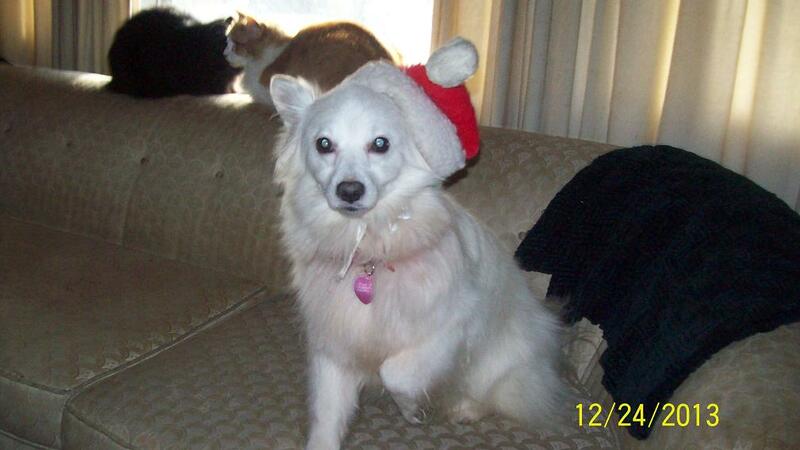 Meet my 9 year old American Eskimo dog, Dixie here to brighten your Christmas eve. Today has not been a good day. My mind has been wandering all over the place. Sometimes it’s like a browser with about 50 tabs that keep opening & closing at random. Annoying doesn’t even begin to describe it… but I thought I would share some of my random thoughts with you in the hopes that maybe something will help you as well. The holidays.. God forgive me, I absolutely hate the entire holiday season. It feels strange to feel this way- I am all about being thankful for the blessings in life (not just on Thanksgiving day) & celebrating Jesus- but I hate the holidays. I have been out of my parents’ home since 1990, & in these last 23 holiday seasons, I could count the number of enjoyable holidays I’ve had on one hand. Most of them have been lonely &/or miserable. Many spent with people I’d rather not be with. As a result, I admit it- I’ve gotten bitter. I just don’t want to be bothered with celebrating. I would much rather just enjoy a quiet day relaxing, maybe watching movies on tv or going out to dinner. Because of this, I have had a lot of people tell me how wrong I am, how i need to lighten up, let go of the past, etc etc. I used to beat myself up because this is something I can’t seem to shake, no matter how hard I try to start new traditions or get into the holiday spirit. I’ve finally realized that it’s ok. I have overcome a lot of abusive, hurtful things in my life- maybe this “Grinch” attitude will be one of those things at some point, but for now, it isn’t. I think a lot of people are like me. For whatever reason, you just aren’t a fan of the whole holiday season. I just wanted to tell you to stop beating yourself up over it! If you can’t seem to change your disdain, it’s ok! There are quite a few of us out there. I’ve changed my perspective, thinking of the days as a peaceful day to enjoy myself rather than a holiday. I also refuse to spend the day with people who I don’t want to spend the day with. They’ll still be there a couple of days before or after the holiday. I believe it’s only right for immediate family (spouses & their kids still living at home) to spend the day together anyway. I also try to plan something enjoyable for the day, like picking up dinner & watching movies. I don’t try to convince others I am right & they are wrong. Neither of us is right or wrong. Every person has their own likes & dislikes. And, I am no longer beating myself up for being “abnormal” in feeling the way I do. Everyone is different, & that is ok. There are people, too, who get depressed during the winter months. If that describes you, you may have Seasonal Affective Disorder. SAD is caused by the lack of sunlight during the shorter winter days. It isn’t necessarily the holidays that depress you, but the lack of sunlight. Then, all of the work, hustle & bustle of the holidays seem like even more work, which depresses you further. If that describes you, there are ways to cope with SAD. A mental health professional can prescribe anti-depressants that you take during the winter months. Or, if you prefer natural remedies like I do, St. John’s wort & Sam-E (both available in pill form) are wonderful alternatives. Valerian root (also available in pill form) & lemon balm are very helpful for combating anxiety. Whatever the cause of your dislike of the holiday season, there are ways to cope with it, & possibly get rid of your dislike. It should be a quiet day around my house. I’m planning a nice dinner that hubby requested. Making him pork chops using my grandmom’s recipe for a German variation. Other than that, probably we’ll just be hanging out with the furkids. My favorite way to spend a holiday- a quiet day at home. Take care, everyone, and God bless you!